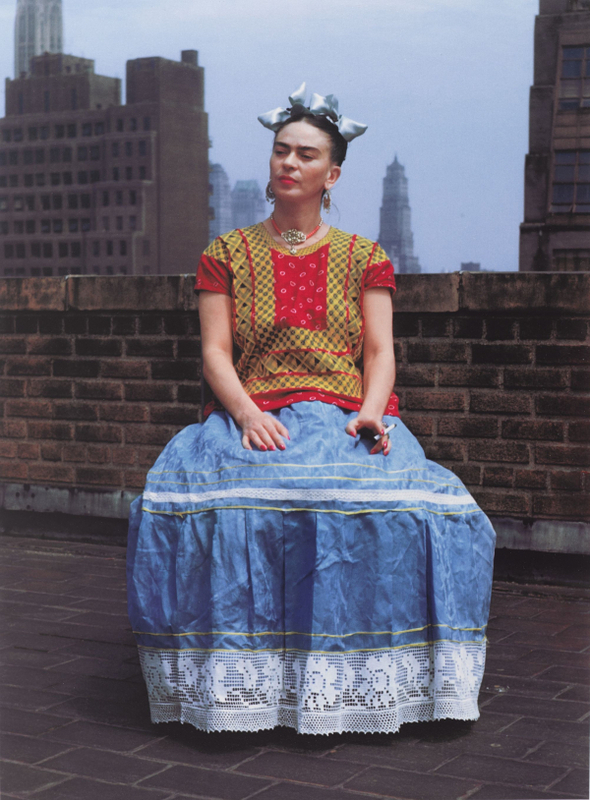 2019 is already looking bright, especially with the news of the Frida Kahlo: Appearances Can Be Deceiving Exhibit at the Brooklyn Museum. Opening on February 8, 2019, the exhibition includes Frida Kahlo’s clothing and other personal items; key paintings and drawings by the artist; photographs, film, as well as related objects from the Brooklyn Museum’s collection. This is also the largest U.S. exhibition in 10 years devoted to Frida Kahlo, and the first in the United States to display a collection of her personal possessions from the Casa Azul (Blue House), the artist’s lifelong home in Mexico City. The objects, ranging from clothing, jewelry, and cosmetics to letters and orthopedic corsets, will be presented alongside works by Kahlo – including ten key paintings and a selection of drawings – as well as photographs of the artist, all from the celebrated Jacques and Natasha Gelman Collection. Related historical film and ephemera, as well as objects from the Brooklyn Museum’s extensive holdings of Mesoamerican art, are also included. Offering an intimate glimpse into the artist’s life, Appearances Can Be Deceiving explores how politics, gender, clothing, national identities, and disability played a part in defining Kahlo’s self-presentation in her work and life. To highlight the collecting interests of Kahlo and Rivera, works from the Brooklyn Museum’s Arts of the Americas collection will be featured, including ancient West Mexican ceramics such as a Colima dog sculpture and a pair of Nayarit male and female figures, Aztec sculptures of the Maize Goddess and the Wind God, and early twentieth-century pottery from the ceramic center of Tonalá in Guadalajara, Mexico. The ancient Colima dogs were of particular interest to Kahlo because they depict the Mexican hairless dogs (Xoloitzcuintli) that she loved. Frida Kahlo: Appearances Can Be Deceiving is a timed ticketed exhibition. Member tickets will be available starting November 26, 2018, before tickets go on sale to the public. Brooklyn Museum Members receive free ticket(s) based on Membership level. Benefits of Membership include free general admission for one year and discounts on Museum programs, dining, and shopping. To learn more about Membership, visit www.brooklynmuseum.org/join, call 718.501.6326, or email membership@brooklynmuseum.org. Standard tickets go on sale Monday, December 3, 2018. Standard tickets will cost $20 for adults, $12 for seniors and students ages 13 and up, $8 for children ages 4-12 on Mondays and Tuesdays; and $25 for adults, $16 for seniors and students ages 13 and up, $10 for children ages 4-12 Wednesdays through Sundays. Untimed tickets, which allow visitors to enter any time on a specific date, are available through the run of the exhibition and cost $35. For more information and to purchase tickets, visit www.brooklynmuseum.org. Groups of 10 or more can make advance reservations now by calling 718.501.6222 or emailing grouptours@brooklynmuseum.org. Corporate and University Members receive a 40% discount on tickets. Please contact corporate.relations@brooklynmuseum.org to receive a discount code for online purchase or show employee ID at the Member Services desk.